Featuring a new introduction by the author, this specially packaged, popularly priced hardcover edition of an American classic (with more than 30 million copies sold) celebrates the 35th anniversary of its original publication. The unforgettable novel of a childhood in a sleepy Southern town and the crisis of conscience that rocked it, To Kill A Mockingbird became both an instant bestseller and a critical success when it was first published in 1960. 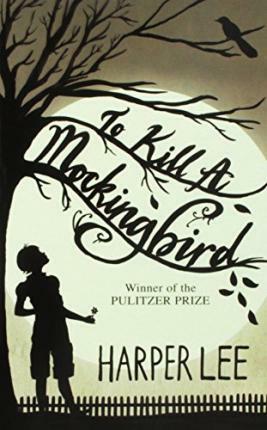 It went on to win the Pulitzer prize in 1961 and was later made into an Academy Award-winning film, also a classic.Compassionate, dramatic, and deeply moving, To Kill A Mockingbird takes readers to the roots of human behavior-to innocence and experience, kindness and cruelty, love and hatred, humor and pathos. Now with over 15 million copies in print and translated into forty languages, this regional story by a young Alabama woman claims universal appeal. Harper Lee always considered her book to be a simple love story. Today it is regarded as a masterpiece of American literature. Nelle Harper Lee is known for her Putltzer Prize-winning novel To Kill a Mockingbird, her only major work. In 1999, it was voted `Best Novel of the Century` in a poll by Library Journal. Ms. Lee was awarded the Presidential Medal of Freedom for her contribution to literature in 2007. Her father was a lawyer who served in the Alabama state legislature from 1926 to 1938. As a child, Lee was a tomboy and enjoyed the friendship of her schoolmate, Truman Capote. After completing To Kill a Mockingbird, Lee accompanied Capote to Holcomb, Kansas, to assist him in researching his bestselling book, In Cold Blood. Since publication of To Kill a Mockingbird, Lee has granted very few requests for interviews or public appearances and has published no other novels.